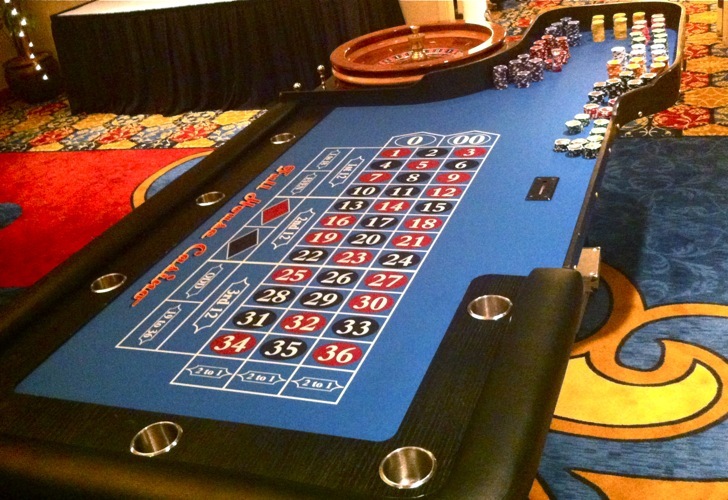 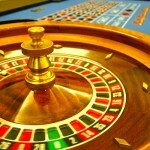 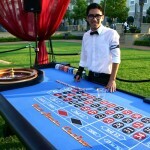 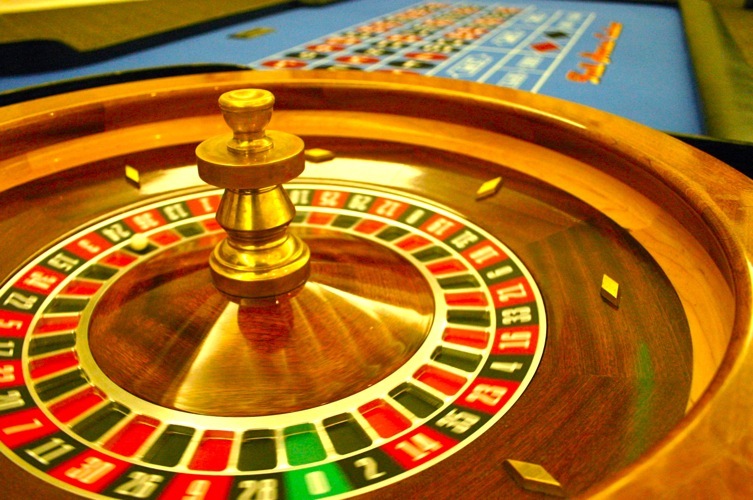 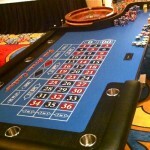 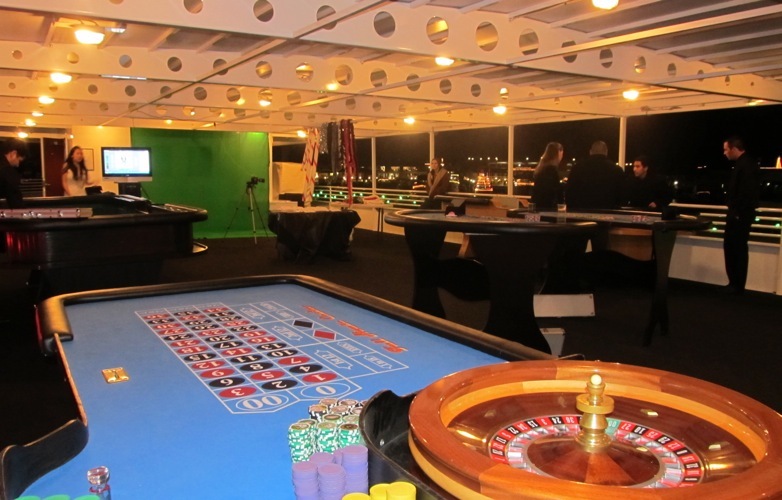 Each roulette table is designed to accommodate twelve players at one time. 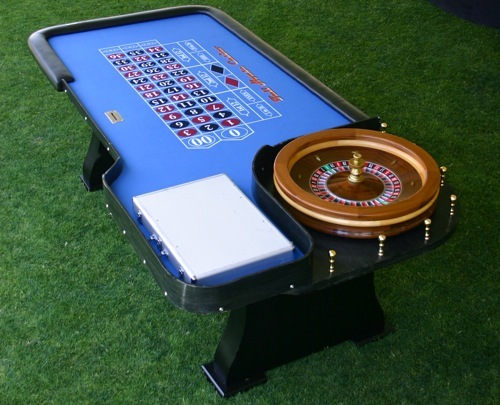 Our tables are custom designed in the USA with vibrant casino speed felt, black leather arms rest, wooden drink rails, cup holders and wooden legs. 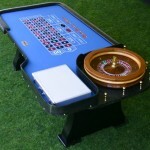 Every table is made out of one piece of solid wood and equipped with sturdy wood legs that secure it to the floor. 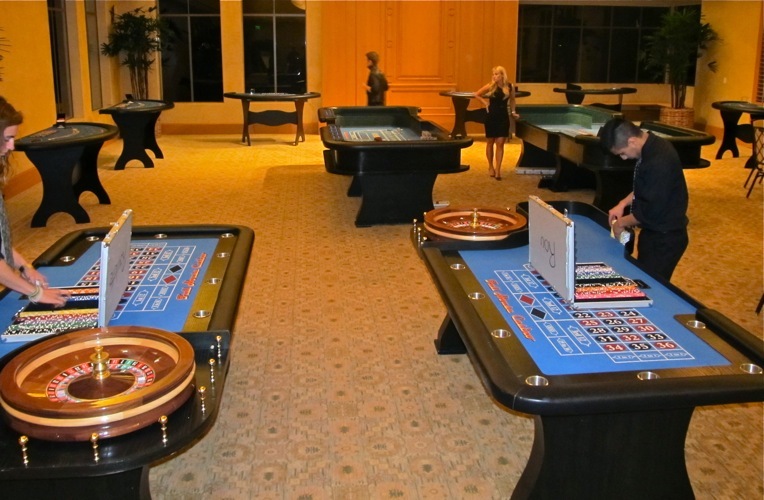 Each table is crowned with a mahogany wood roulette wheel and one-thousand special chips just like the tables your are used to playing on in Vegas. 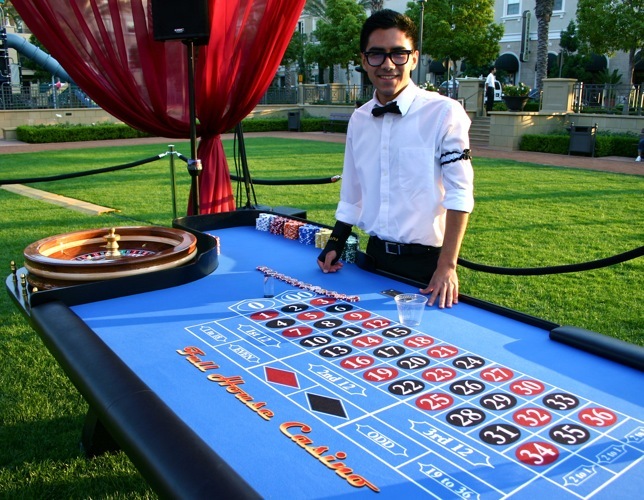 To avoid over crowded tables we recommend you provide each table with at least eleven by seven feet of space when planning the layout of your casino night. 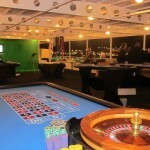 Our experience has shown this provides a comfortable area for your guests as well as the table and its dealers. 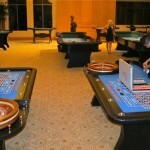 Your guests will be able to play, watch others, or socialize.